the uropygial gland is a simple branched tubular holocrine gland. 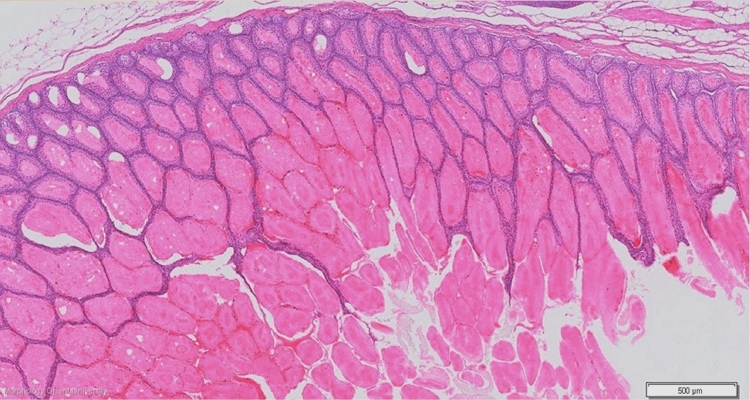 Each lobe is surrounded by a capsule of fibrous connective tissue from which thin trabeculae radiate inwards to separate the glandular tubules. The tubules lie almost radially orientated around a central lumen in each lobe and consist each of an outer sebaceous zone and an inner glycogen zone. The sebaceous and glycogen zone do not differentiate one into another but form two separate zones that secrete independently of each other.